Owen was a prolific striker with Dumbarton, Clydebank and Airdrieonians, before he moved to Bolton Wanderers and then to United. Already an Under-21 and 'B' international, in 1994 he had gained his one full cap for Republic of Ireland. Owen was a regular in the United promotion winning side of 1995-96, scoring the crucial winning goal in the play-off against Partick Thistle. In January 1997 he moved to Motherwell in exchange for Jamie Dolan and £75,000. After spells with Dunfermline Athletic, Ross County (loan), Airdrieonians and Falkirk, Owen returned to United in July 2003 as a player/coach. He spent time at Airdrie United on loan before leaving to join them in July 2004. 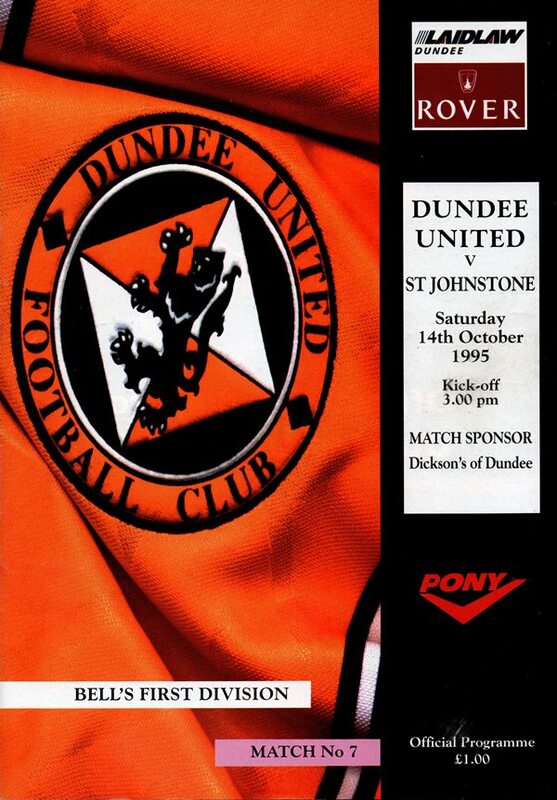 This great cup tie ended with United losing out on penalties, but it was a controversial spot kick which brought Dundee back into the game after United had gone ahead. 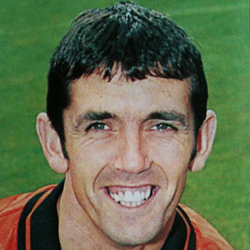 Dave Bowman for Ray McKinnon was the only change from the side which had lost narrowly at Ibrox and the returning United skipper almost made it a great start for United when he took a return pass to fire in a first time shot which Billy Thomson was to turn round the post. This was to set the pattern for the evening as the ex-United keeper was to continually deny his former club. However, it was a mistake by 'Tommo' which gave United a 20th minute lead. Andy McLaren's flick came back to him off the referee and he jockeyed himself into a shooting position. His ground shot carried no great power, Billy let the ball slip from his grasp and Owen Coyle snapped up the chance from the rebound.